Beginning in 1982, Earthsaver recognized the need for a heavier, green waste tub grinder. 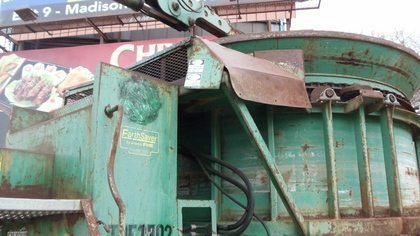 Earthsaver was able to modify a WHO, an agricultural tub grinder manufacturer at the time, and create one of the first green waste recycling grinders. FHE (Fuel Harvester Equipment) was created later to market this brand new segment of equipment. While no longer building grinders, Earthsaver is doing well and will offer support and parts for their grinders.